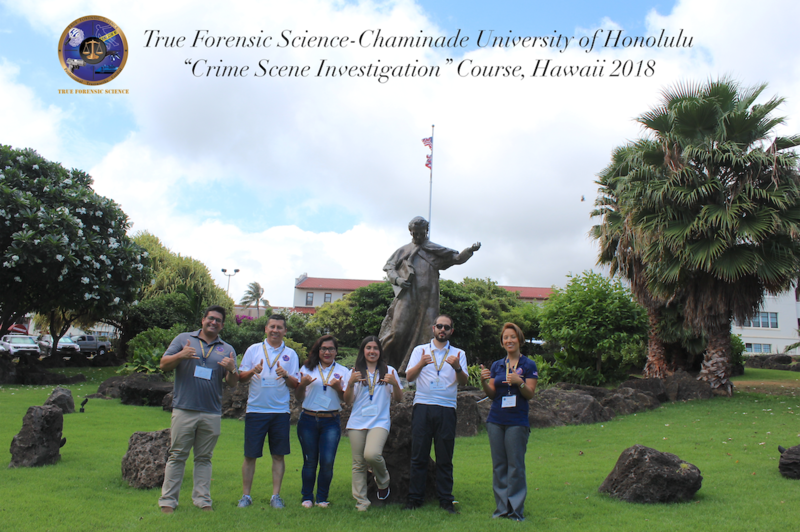 Between July 16th and the 25th, True Forensic Science in partnership with Chaminade University of Honolulu, welcomed for the first time in Honolulu – Hawaii students from different countries of Latin America. This 1o-days-course named “Crime Scene Investigation” is completely given in Spanish, imparted by True Forensic Science’s Science Director and Chaminade’s Lecturer, Mr. Carlos A. Gutierrez, who not only was in charge of the academic program, but also the professional visits out of the campus. As part of the course inaugural ceremony, Chaminade University of Honolulu’s President, Dr. Lynn Babington, addressed the foreign students with a encouraging message to keep working hard on improving and updating their knowledge for them to be able in future to help their communities with all these new skills, as it is Chaminade University’s spirit. Additionally, Dr. Babington showed her appreciation to each of the students for traveling to Hawaii and being part of the first version of the CSI summer course. 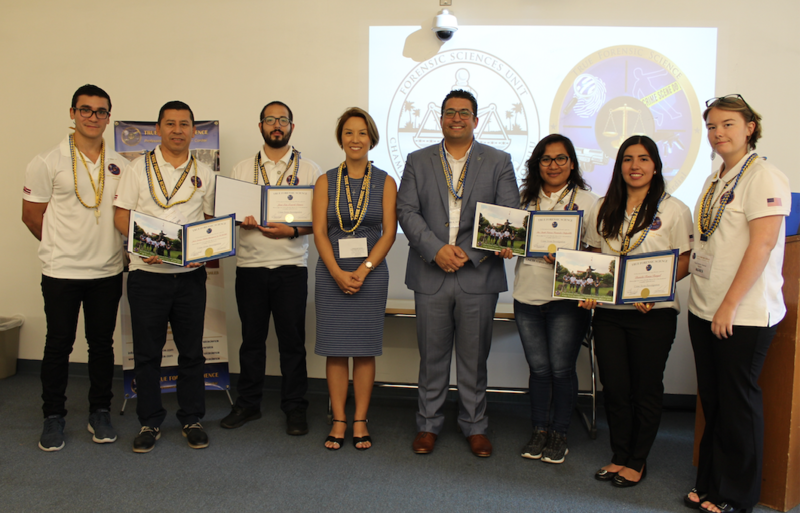 Students from Colombia, Mexico and Bolivia, were the select group that had the privilege to participate for the first time in the TFS-CUH CSI Summer Course, Hawaii 2018. The group of students were able to learn and/or update their knowledge in areas such as: Physical Evidence, First respondents and specialized staff; the Study of the Body at the Crime Scene; Anthropology & Forensic Microanthopology; and Bloodstain Patterns Analysis, among other topics. The summer course’s academic program consisted of a theoretical phase and a practical one. The practical portion of the course, had as main goal the students to practice all what they have learned during the theoretical part, just like Chaminade’s regular students throughout the academic year at the Forensic Lab as well as the Crime Scene House. Additionally, as part of the the CSI summer course curricula, professionals and cultural visits were made by the group in between academic activities. During these field trips, the Latin American students were able to share professional and personal experiences with their peers working at the different agencies in the city of Honolulu the group visited, such as: Medical Examiners Office of the city of Honolulu, Forensic Laboratory of the Honolulu Police Department, Polynesian Cultural Center of Brigam Young University (BYU) and Pearl Harbor Military Base. The True Forensic Science-Chaminade University of Honolulu “Crime Scene Investigation” Summer Course in Spanish is currently the only course related to Forensic Science offered completely in Spanish and that possess academic endorsement of a U.S. University, highly recognized in the forensic field.